The thrill of playing games on Windows PC or a Laptop can get ruined if it starts to lag. A situation that PC gamers face pretty often! The difference between playing on a gaming console and a Windows PC is that while the OS of former is dedicated solely to gaming, the latter has many processes that run in background. This is where game optimization software come in. They optimize your PC for games, thus making the experience enjoyable instead of frustrating. Let’s know about Game Boosters and how beneficial they can be, or simply go ahead and try one now! What Is A Game Booster Or Optimizer? Game booster or optimizer just as the name suggests is a software which helps in improving PC gaming performance. It is simply a way to make a process optimal, it is making things better. The software limits the background operations when a user is playing games on Windows computer. A game booster should make a game work at the same framerate beyond hardware specifications. Managing stable framerate is what matters while playing a game on PC. Basically, a game optimizer kills processes, services, programs and background tasks which are not needed while running the game. This also helps OS to free up RAM, minimize disk activity and CPU load. Most programs enable you to switch between normal mode and game mode with just a button and some programs could recognize games and make things easier. What Are The Benefits Of Using A Game Booster? Well, playing games on your computer will take up most of the resources and the PC needs to work at its best so that player doesn’t feel any lag. A Game Booster is an application which optimizes your computer while playing games. Game optimizer changes computer settings so games can run smoothly. The software decreases efforts and time you’ll consume looking for and downloading drivers, spotting and shutting down background processors. Also, when you are done playing games, it will turn all back on. Using a game booster software drastically increases the performance of your system. While there are countless such software available in the market and the web, we have listed the 10 best game optimizers for Windows 10, 8, 7 and older versions in 2019 to make it easy for you. A multipurpose optimizer, Advanced System Optimizer is a great software to keep your Windows PC or Laptop clean of all unnecessary files and constantly maintain high performance. This optimizer is a simple to use, yet efficient at ensuring smooth functioning of your system. It helps you get rid of old and unwanted files on your computer. Cleaning junk speeds up the computer. The software helps you keep your system driver up to date. Also, it backups the current drivers before installing new. The tool also acts as a system protector as it detects and blocks malware. It keeps an eye for any spyware related activity on your computer. It can also help you to defrag the disk so that your files load faster, fewer crashes and failures. It can also delete duplicate files and free up disk space from your computer. It maintains and kills processes and apps which are not needed, which frees up invaluable resources and RAM required for games. This gives higher frames per second & smoother gaming performance. Whether the game is from desktop, Origin or Steam, Razer starts running when you launch a game. When you are done with gaming, Game booster restores PC to the previous state automatically. The tool gives higher FPS by managing native apps and other apps on Windows. It uses two core modes: enable CPU core to give priority to the game & disable CPU sleep mode for high performance. The FPS counter separately tracks frames-per-second when you are playing games. Then it prepares FPS chart and allows you to evaluate your statistics and obtain vital insights that will help you to change boost settings. Using this software, you will notice a smoother motion in the game because of higher FPS. The loading time which usually tests your patience is drastically cut down. You can customize also your settings. However, this software is better suited for tech-savvy people who have much idea about how to avail its vast set of features. Wise Game Booster is a game optimization software known for its simple and easy to use features. It increases the game stability by halting all the programs that are not required to run a game. Instead, all the resources are used to boost the performance of the game. After analysis of all the running programs the software suggests what action is to be taken for each process and service. For those who are novices in gaming and plan to use this software, go through its functions thoroughly first, as stopping wrong process could cause malfunctions. Download Wise Game Booster Here. Mz Game Accelerator is one of the best game optimizer for Windows since it is extremely easy to use and implement. One doesn’t have to restart the system after initializing the software. Like other software in the category it puts a halt on all the programs that are not essential to run a game. One of the best game booster software for Windows, Game Fire 6 is one of our favorites on the list. It is a powerful and gives makeover to gaming experience with just one click. The software channelizes all necessary resources for smooth functioning of games by ceasing background processes that may interfere with the game.. It optimizes the system and defragments all game files thereby further boosting functioning of the game. It also allows user to organize their games at a one place. The list of best game optimizer for Windows would be incomplete without GameBoost. Apart from the usual game boosting functions it also helps increase the internet speed. Using this software, animations, refresh rate and CPU speed are much higher. An easy to use software that would be liked by both beginners and experts. Being one of the few software that offer overclocking option, GameBoost can change the default frequency of specific components such as your the graphics processor. It does most things automatically without much user interaction required. If you are facing issues like bad lag and high ping, then WTFast is the software for you. 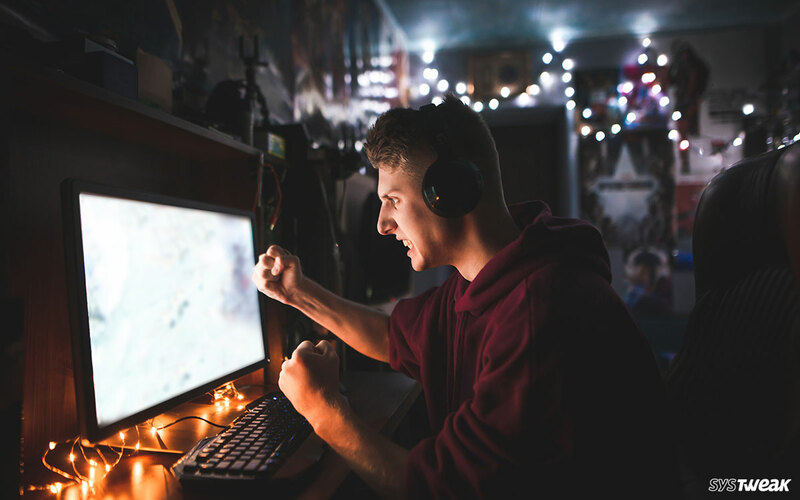 A good software to optimize PC games, WTFast stands apart from the rest as it focuses more on increasing the internet speed for better performance of online games. It reduces game lag and decreases ping that reduces slowdowns during online multiplayer sessions. Toolwiz Game Boost is a good software to optimize pc for games. The software defragments all game files and makes CPU and RAM efficiency higher. Apart from shutting off the processes not required to run a game lets the user know when it’s time to update the driver. Despite being a freeware, it is safe and secure. The software claims to boost up the speed of your system by 3X times. By keeping the system clean it notches up the performance. It optimizes the Windows and cleans up the RAM. The software also works on increasing the speed of the internet by clearing the junk files from time to time. Last but not the least in the list of best game booster software for Windows, MSI Afterburner is a great booster for Windows 10. This is one of the few software like GameBoost which offers overclocking options. Apart from the usual functions it lets the user customize the fan speed, benchmark video record and monitor. It offers full control over the GPU voltage and frequency. This combined with the freedom to modify the fan speed lets the user avail the full potential of the graphic card. The software also gives information on the usage, temperature, clock speed and voltage. According to us, the first two software are the best game boosters for Windows 10 PC, Advanced System Optimizer and Razer. Advanced System Optimizer not only serves as a game booster but also boost system performance. It can protect your system from malicious content, cleans junk, keeps drivers up to date and defrags the computer. Advanced System Optimizer, in a nutshell, is great software if you are looking for overall system performance enhancing software. However, if you are looking for a software which mainly is a game booster, then Razer Cortex should be the one to choose. This popular game booster tool provides higher frames per second & smoother gaming performance by killing unnecessary apps running. The tool starts running as soon as you launch a game. Also, tool’s FPS counter separately tracks frames-per-second while you play games to give you stats to review and help in changing the boost settings. To sum up, if you need a software which improves the performance of your computer then go for Advanced System Optimizer, however, if you just want a game booster and want to play games without experiencing any lag, then get Razer Cortex: Game Booster!